Make the lentils ahead of time. Dice the vegetables into a very small, lentil size dice. 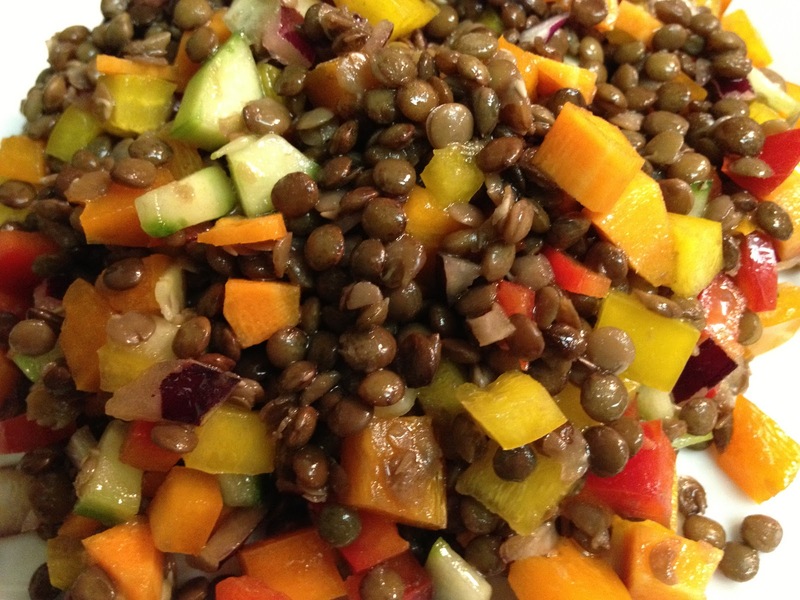 Whisk the dressing ingredients together and toss with the lentils and vegetables. Enjoy!